More evidence emerged about the direction in which Mark Read wants to take WPP at Monday morning’s “in-conversation” session at Advertising Week Europe. Read answered questions posed by Kathleen Saxton, founder of The Lighthouse Company, including whether WPP had enough creative people in light of his promise to spend an extra $20m in that area. “The definition of creative is much broader than it used to be,” Read explained. “I think we can be too New York-centric, in a US sense, or too British-centric, in a British sense. A lot of the way the world is changing comes from Miami or LA or Portland or Korea or esports. We live in a very different world from the old advertising creative thing. Read stated that he wanted WPP to be known as an organization staffed by brilliant creative people as well as for its individual networks to be destinations for great creative talent. He also hinted that he is thinking about relaxing the control that the group likes to have over its agencies’ budgets. However, Read suggested two areas that he wants the group to get to grips with in the coming years, in addition to his simplification agenda. The first was the need to get on top of the pace of technological change that consumers are driving. 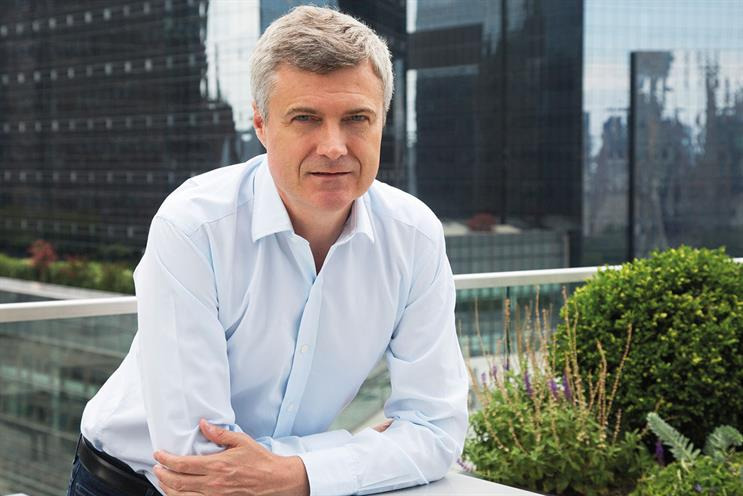 The second area was about finding account people to deliver on the offer that he set out last year as the future focus of WPP: communications, experience, commerce and technology. “Someone who is running a client [for us] should be able to talk about those four things,” he said. “The reality is that there aren’t a lot of people who can talk about those four things. Earlier in the day, the stage was occupied by Read’s peer Michael Roth, chief executive of Interpublic, who was speaking on the subject of corporate social responsibility alongside his client, Bank of America vice-chairman Anne Finucane. Roth discussed IPG’s work in support of the United Nations’ Sustainable Development Goal number six, clean water and sanitation, which has seen the company get involved with Stella Artois and Matt Damon’s initiative Water.org. Roth said: “Consumers now, and investors, are looking for companies that have values and stand for something in the marketplace.